Spain’s production of solar energy jumped 94 percent last year with the installation of 261.77 megawatts of new photovoltaic power, according to figures released by the Spanish solar energy producers’ association UNEF ( Unión Española Fotovoltaica). 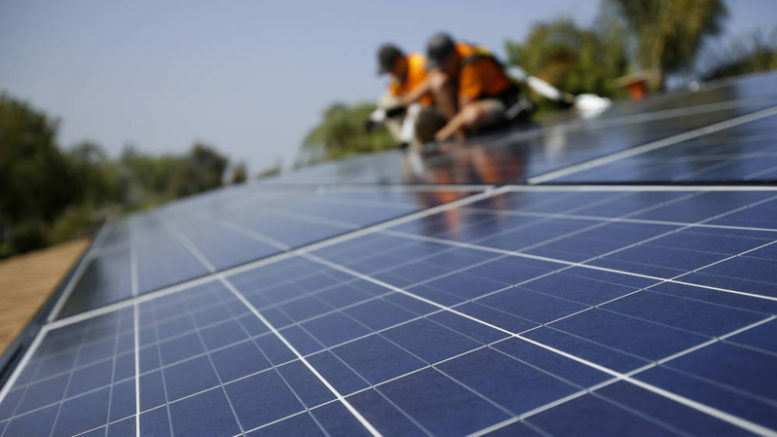 Of the new solar production, 90 percent corresponded to solar production generated by businesses and individuals for self-consumption, 25 percent of which corresponded to solar power for agricultural use connected to Spain’s electricity grid. UNEF credited the rise to the impact of Royal Decree Law 15/2018, introduced by the Socialist party government of President Pedro Sánchez and passed by Congress, which establishes a free market system for self-consumption, eliminating economic and administrative barriers to self-consumed energy. According to UNEF, the newly installed solar production capacity in 2018 represents a 500 percent hike over the 55 megawatts of photovoltaic power installed in 2016, under the previous Partido Popular (PP) government of former President Mariano Rajoy. In 2013, the PP majority in Congress imposed a highly controversial “solar tax” on power generated by individual homeowners or businesses for self-consumption. Despite the rise, however, the UNEF noted that the amount of newly installed solar production capacity in 2018 represents just 3 percent of the 8.5 gigawatts of newly installed solar production capacity across Europe last year.